Santa Barbara Dance Tribe invites you to celebrate life through movement. We gather every Sunday as a community for an ecstatic dance that welcomes authentic expression, freedom of movement, and embodied connection. We dance every Sunday 11 am - 1 pm. Stories and experiences from the Dance Tribe community. Obtain consent before making physical contact with other dancers. Attend ceremonies in a natural state, and refrain from using alcohol and drugs. Leave technological devices outside the sacred space. Dance Tribe is the Sunday service of Inspiratia, a non-profit organization and recognized Church. Inspiratia offers educational programs for individuals to develop their capacity for embodied presence and self awareness through meditation and movement practices. Learn more at www.inspiratia.org. Lamara and Ishmiel founded Santa Barbara Dance Tribe in 2009 with the intention of building community through movement and music. Lamara Heartwell is the Co-Founder of Dance Tribe and Executive Director of Inspiratia. She’s also a Body Intelligence expert and creator of Wise Women Unite, a movement for women to claim their bodies as an essential source of intelligence, power, and pleasure. Movement and body awareness have always been at the center of Lamara’s life. From the monkey bars to the uneven bars, dance floor to forest floor, yoga to contact improv., she moves to love and loves to move. Ishmiel Lounsbury co-founded Dance Tribe and has been in the ecstatic dance scene for over 20 years. “Music and dance take us right to the present moment,” he says. “Through ecstatic dance we can let go of our worries and express a true and authentic part of ourselves.” He creates sets that invite dancers to move from a deep internal place to a celebratory ecstatic high and finally to a quiet, grounded stillness. He fuses music from around the world. info@sbdancetribe.org. Marcelino Sepulveda is Dance Tribe's manager. He oversees staff and helps to coordinate the organizational aspects of running the weekly dance, including scheduling DJs and DJing himself. He plays ‘international liberation dance music’ drawn from a wide range of genres, incorporating various styles to transport dancers to many beautiful places in one vast, interconnected journey. “Funky, shamanic, devotional, deep, upbeat, with absolutely sublime chaos in the mix, these epic excursions take you back to your essential awakened self,” he says. Timothy Tillman is the co-founder and president of Inspiratia as well as a long time dancer at Dance Tribe. He serves as a Dance Tribe guardian, meditation instructor, and somatic counselor for the Dance Tribe and Inspiratia community. Natalie Diane is a lifelong dancer and lover of movement and music. She discovered Dance Tribe in 2010 and fell in love with the freedom of expression and community connection she found there. Now she serves as the Communications Director for Inspiratia, the non-profit organization that hosts Dance Tribe. She can be reached at admin@sbdancetribe.org. 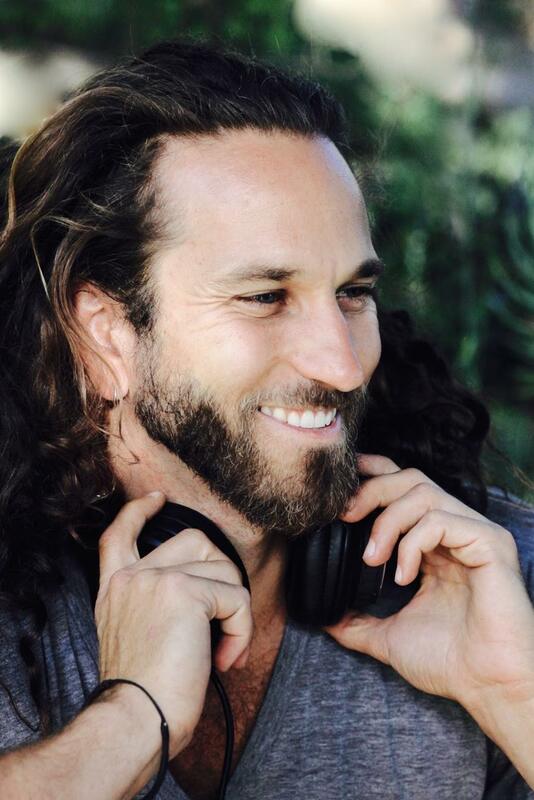 Aaron Musicant completed the Ecstatic Dance Leadership Training in Oakland, California and now DJs regularly for Dance Tribe. He also facilitates a monthly First Friday Ecstatic Dance at Yoga Soup. Dance Tribe was his first foray into the world of ecstatic dance in 2010, and now he's thrilled to play for the community that nurtured him into becoming a local ecstatic dance facilitator. Bobby Sol was born and raised in Santa Barbara and has DJed in town for 25 years. He has studied musicianship, music production, dance, choir, and the violin, guitar, and keyboard. He’s been playing for Tribe since 2011, and currently runs his own mobile DJ service. He says that ecstatic dance has opened him up to a world of music that crosses all genres, emotions, and experiences. Kiaora Fox is the only 5Rhythms© Waves teacher in the Central Coast, she also teaches Yoga and Pilates. For much of her life Kiaora has studied in the healing arts and finds the best way to integrate any of life's experiences is through exploring the awareness of self in authentic movement. She brings a robust lifetime of wisdom in embodiment practices to her role as Minister of Music. Dance Tribe also welcomes a number of visiting Ministers of Music. For more information about them, connect with us on Facebook or sign up for our newsletter below. Enjoy these music tracks from our resident Dance Tribe Ministers of Music. Santa Barbara Dance Tribe is a weekly service of Inspiratia, a tax-exempt 501(c)(3) church.